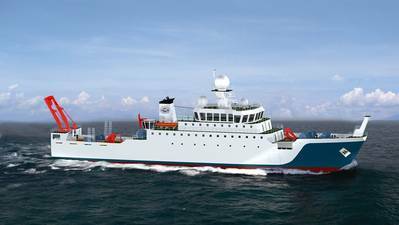 The new fisheries research vessel of the Shanghai Ocean University will be a first for Voith in several respects. 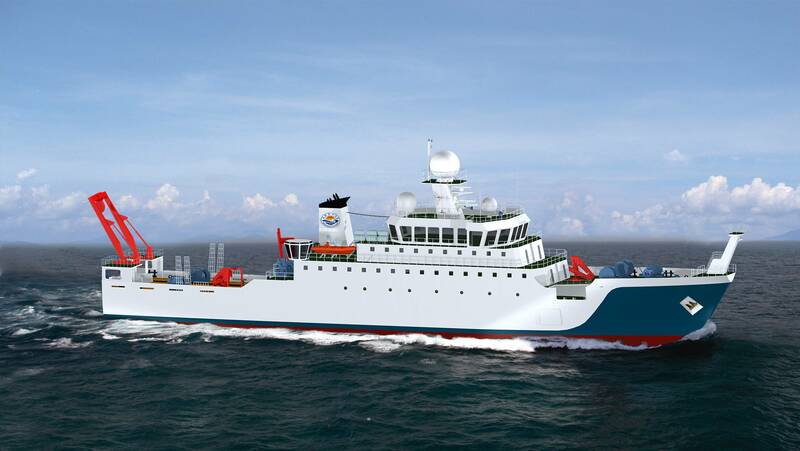 It is the first fisheries research vessel world-wide to use the proven Voith Schneider Propeller (VSP) propulsion concept. And it is the first offshore order Voith has received from a Chinese customer. With its two 28R5 ECS/234-2 Voith Schneider Propellers, the research vessel with a length of 81.6 meters and a beam of 14.2 meters reaches a maximum speed of approximately 15 knots. This top speed is ambitious, given the size and engine power of the vessel but was achieved by the Shanghai Research Institute team responsible for the design in close cooperation with Voith. Calculations and adaptations of the vessel lines resulted in the required top speed of 15 knots being technically feasible. The customer was particularly convinced by the precise maneuverability of the research vessel provided by the VSP propulsion concept and the technically sophisticated roll stabilization (VRS). Those responsible at the university made it clear from the very start of the project that the oceanographers who will be on board the vessel are not necessarily experienced seafarers. To ensure a certain degree of comfort, the owner therefore insisted on the intelligent Voith Roll Stabilization which compensates most of the vessel roll via the VSP.